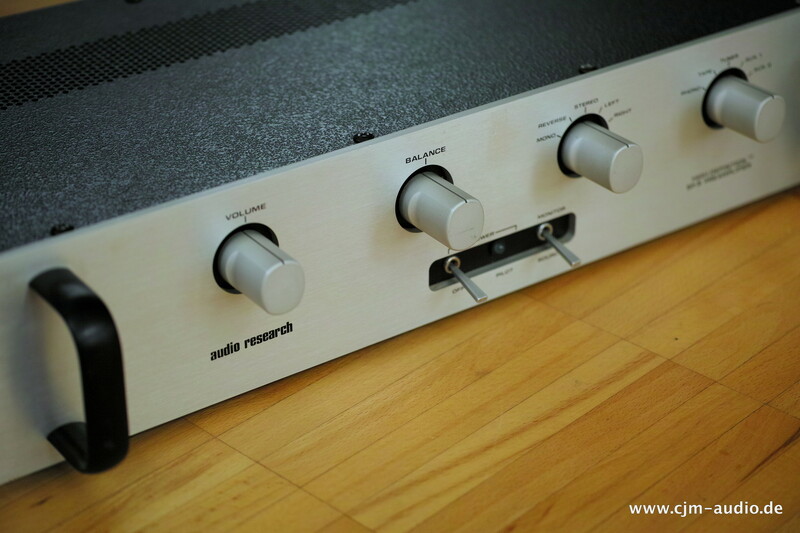 Vintage Vorverstärker von Audio Research, gebaut von 1977-1980. 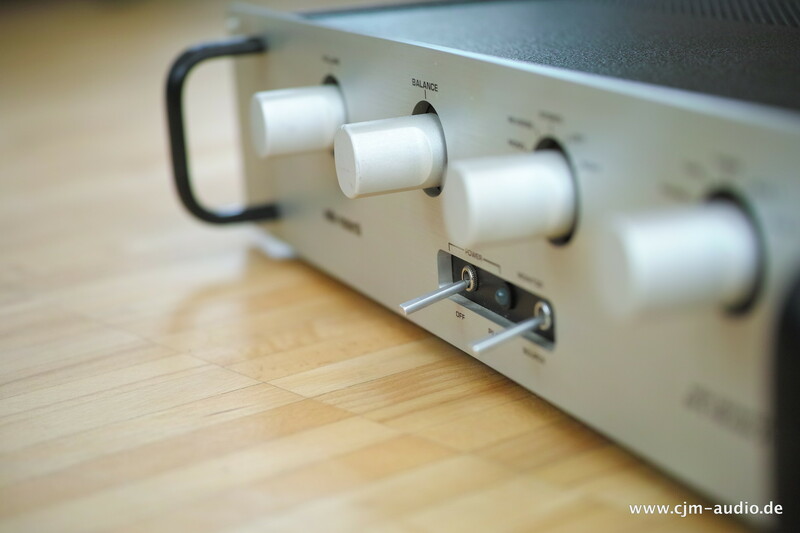 Nach dem SP-4 einer der ersten mit Transistortechnik arbeitenden Vorverstärker aus der amerikanischen Traditionsschmiede Audio Research. 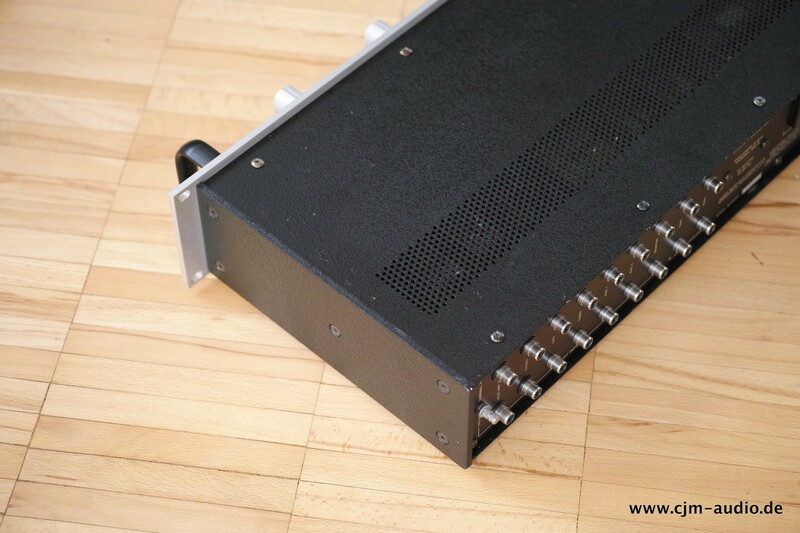 Noise & hum High level inputs, more than 90 dB below 2 V RMS output. 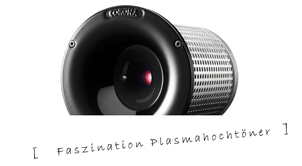 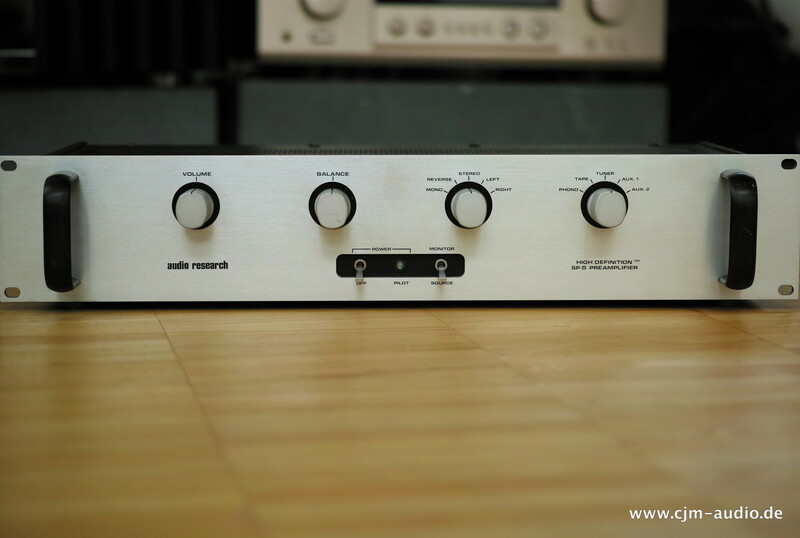 Magnetic phono input, less than 1 µV equivalent input noise with 1 Kohms input (RIAA weighted). 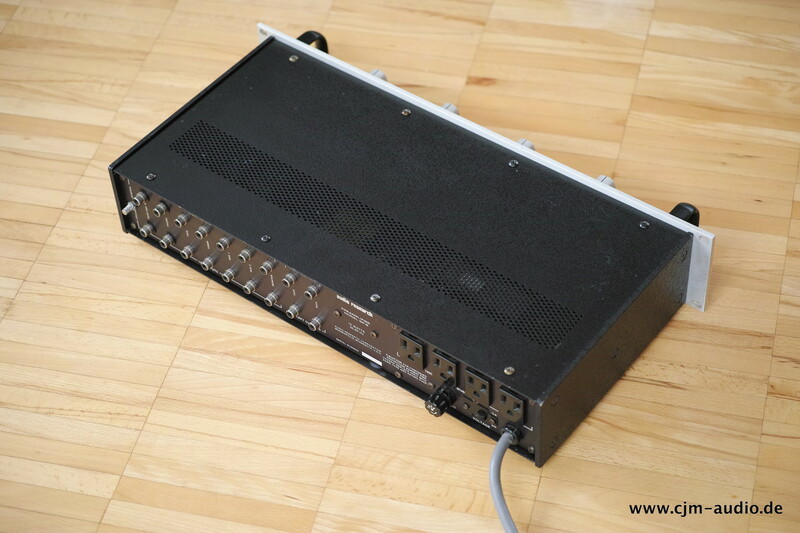 Typically 80 dB below 10 mV input at 1 kHz. 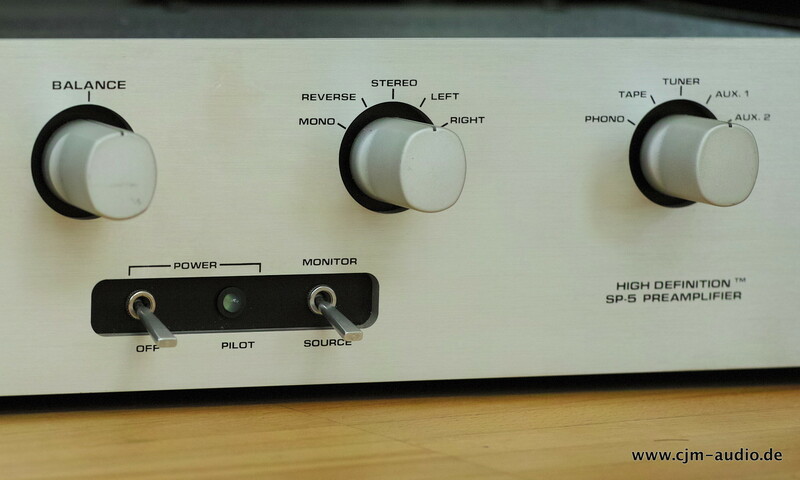 Gain Magnetic phono input to tape output, 36 dB. 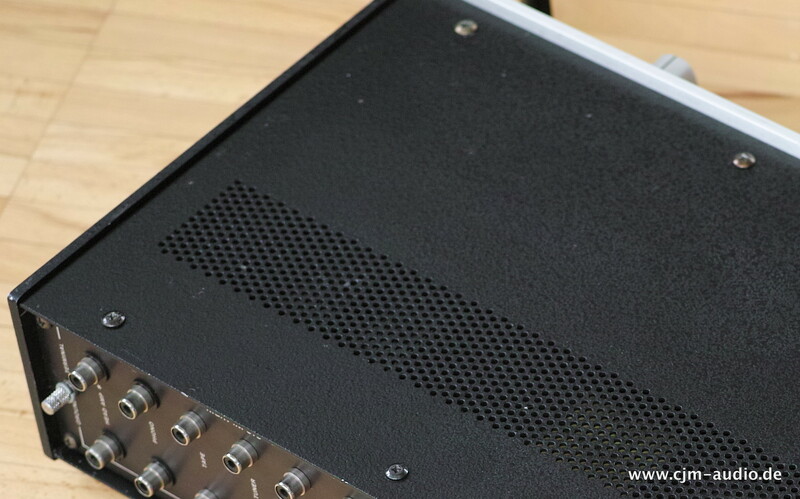 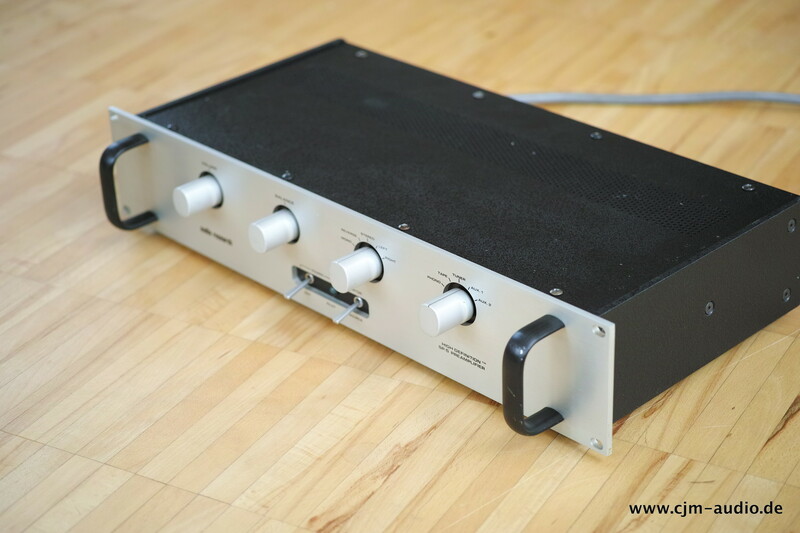 Magnetic phono input to main output, 60 dB. 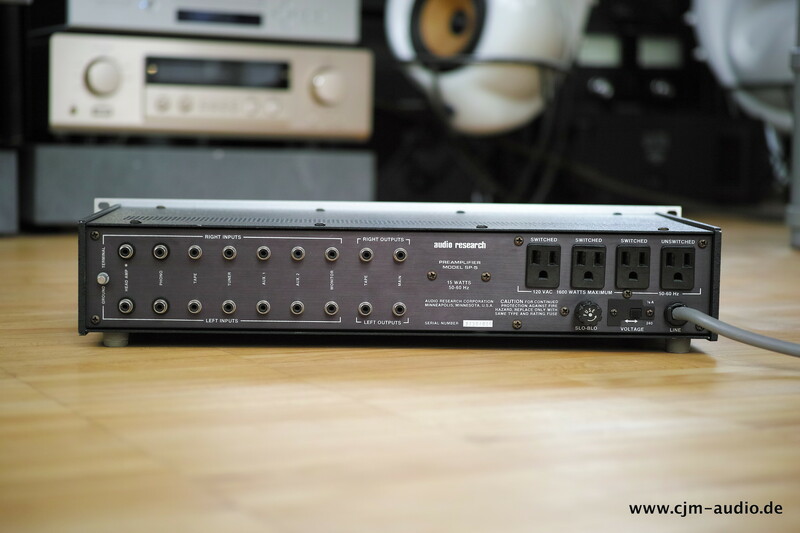 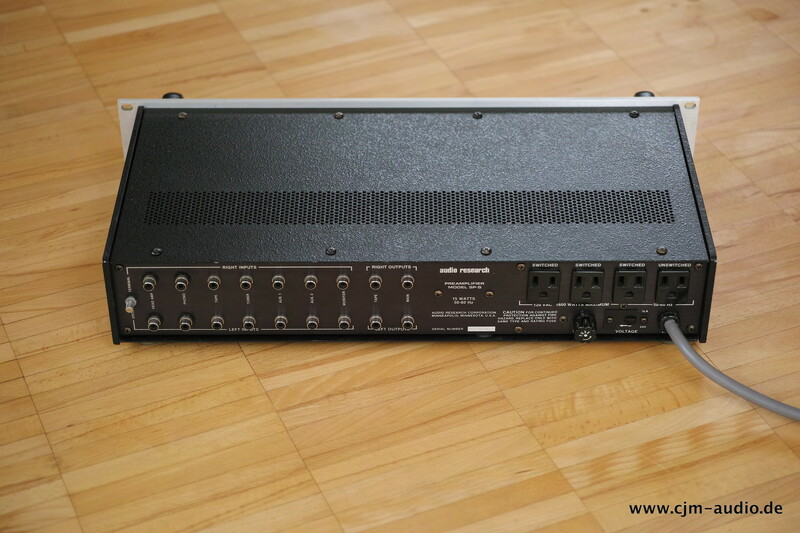 High level inputs to main output, 24 dB. 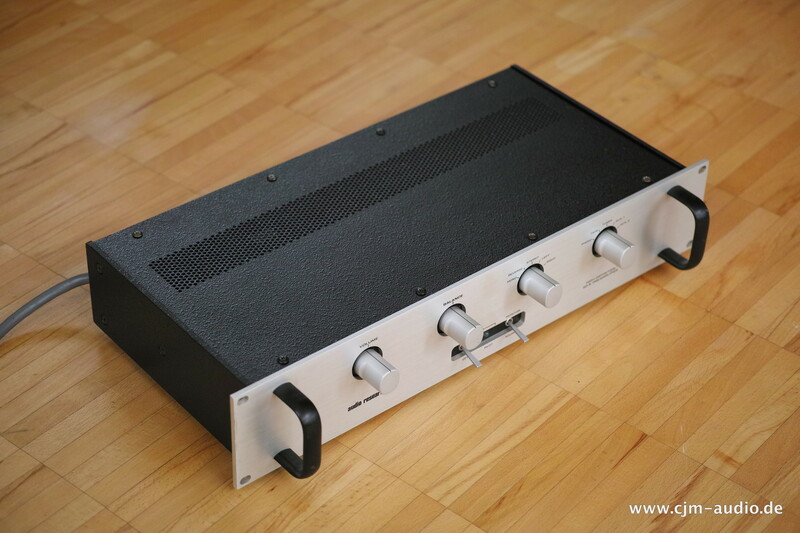 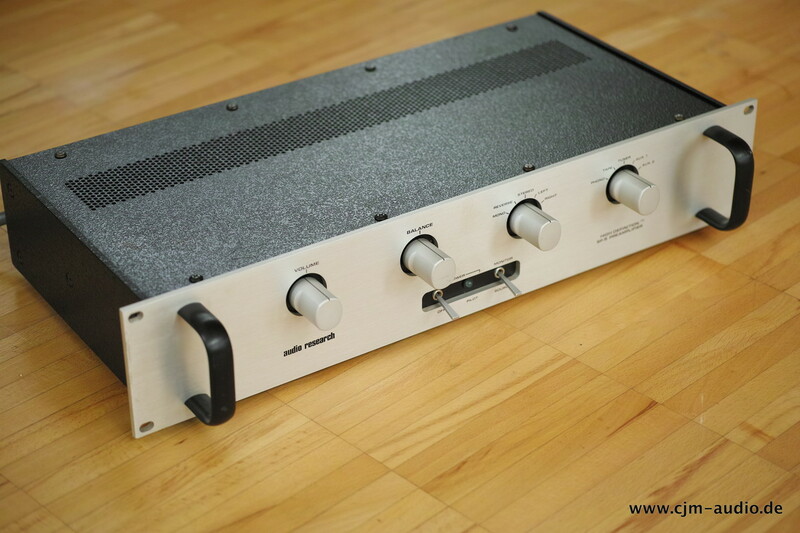 Magnetic phono 50 Kohms 200 pF (capacitance value may be reduced to 50 pF minimum, or increased as necessary). 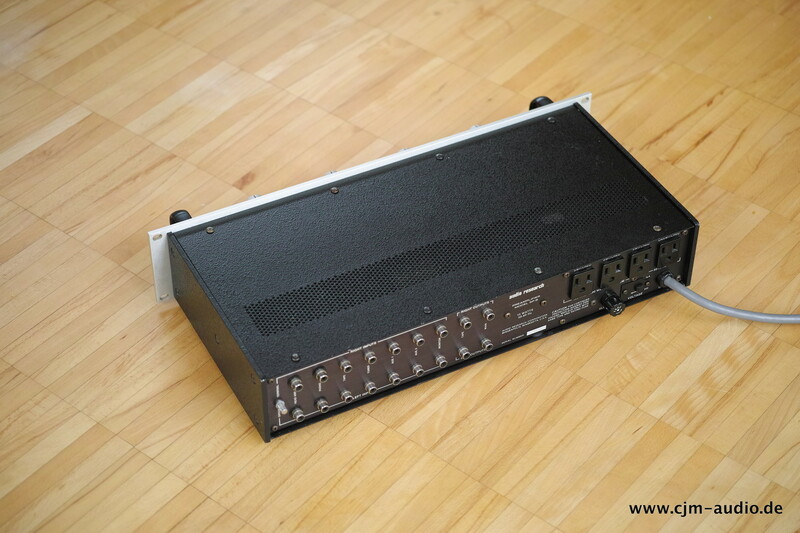 Output impedance 50 ohms, recommended minimum load for maximum audio quality, 10 Kohms. 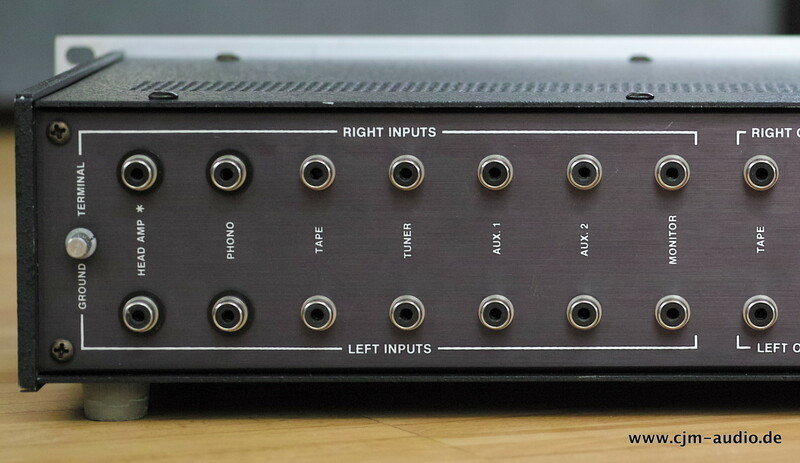 Maximum inputs High level inputs, esentially overload proof. 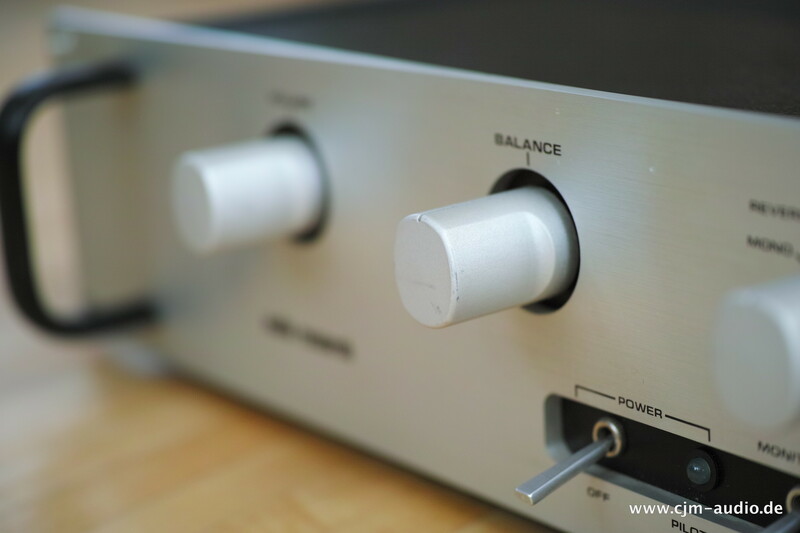 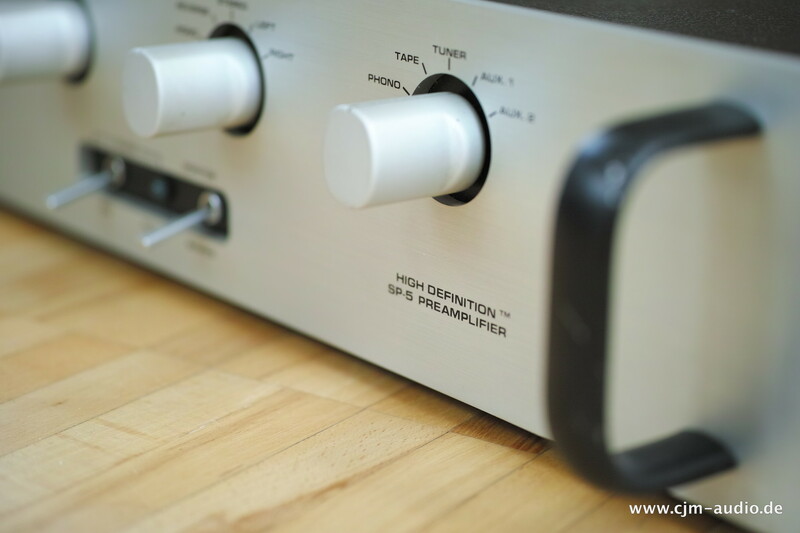 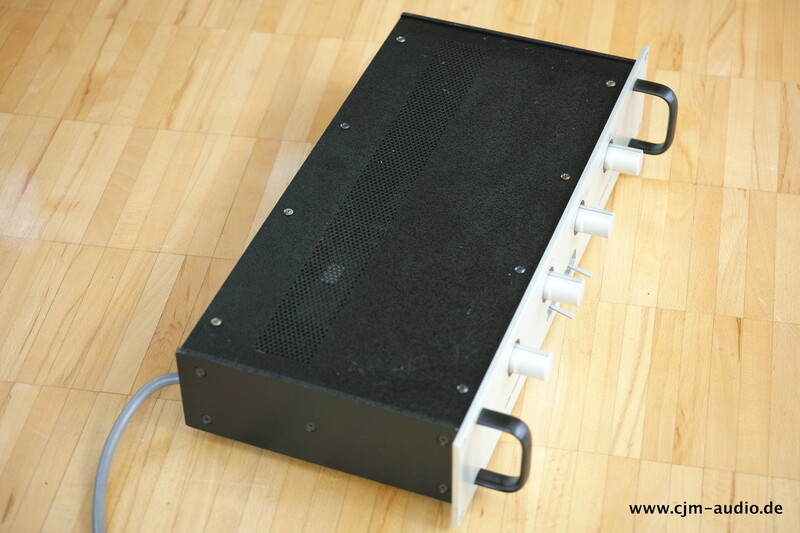 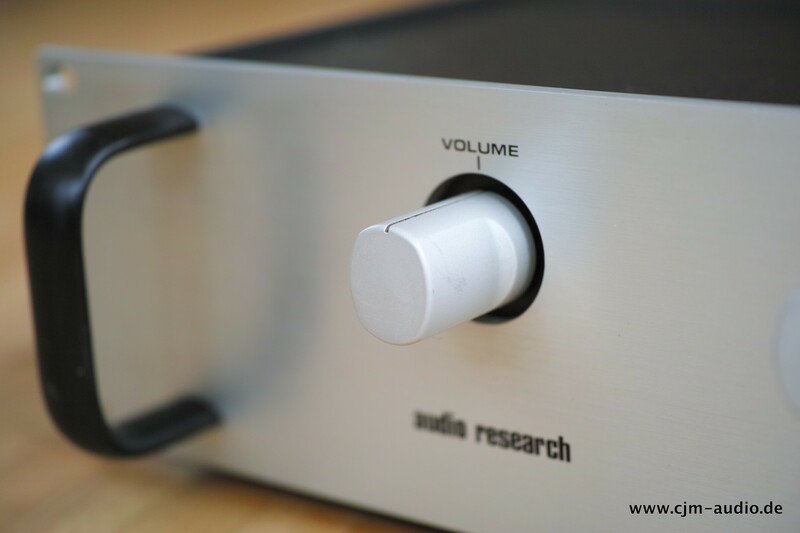 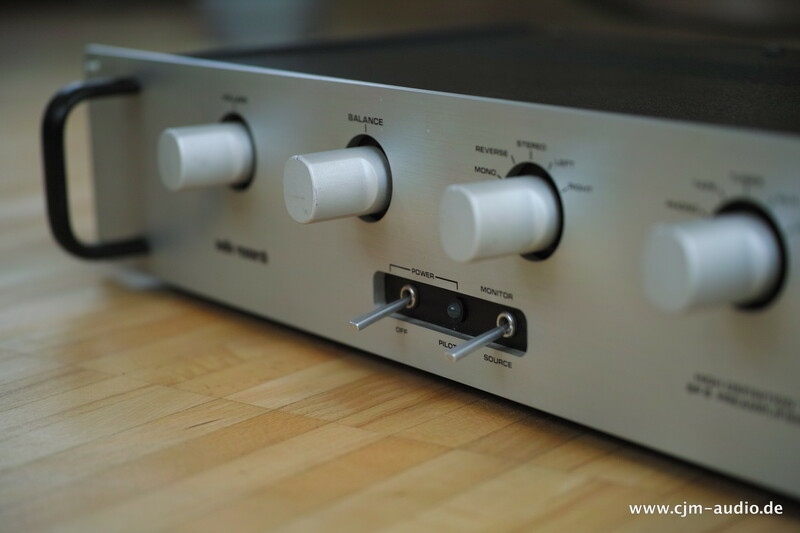 Magnetic phono input, 150 mV RMS @ 1 kHz. 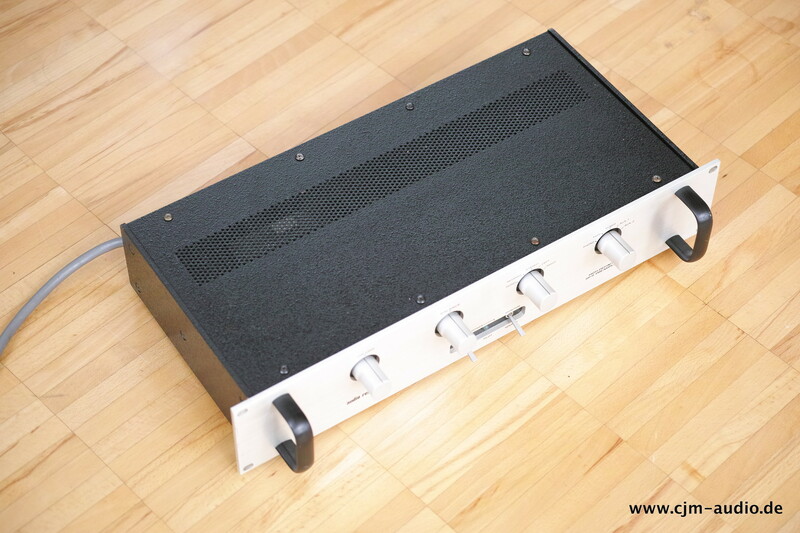 Rated outputs Maximum output 10 V RMS (all outputs, IHF load). 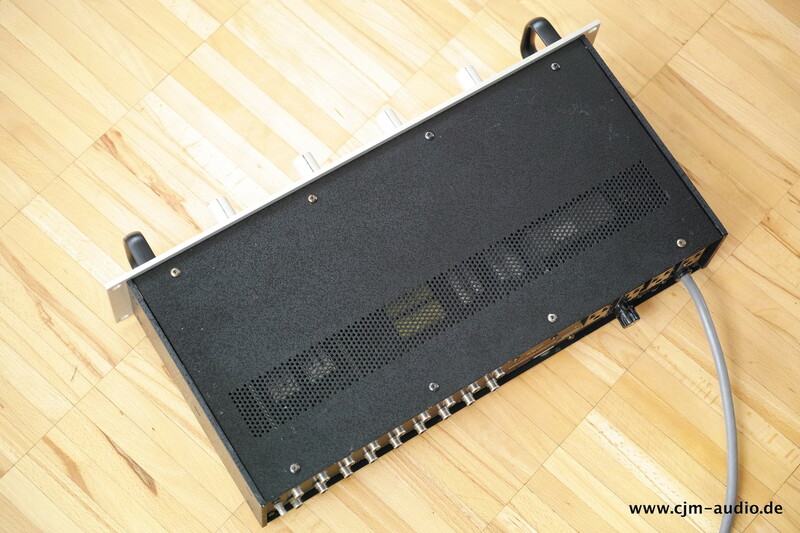 Dimensions 19" (48 cm) W (standard rack mount front panel size) x 3 ½" (8.9 cm) H x 8 ½" (21 cm) D. Handles extend 1 ½" (3.8 cm) forward of panel. 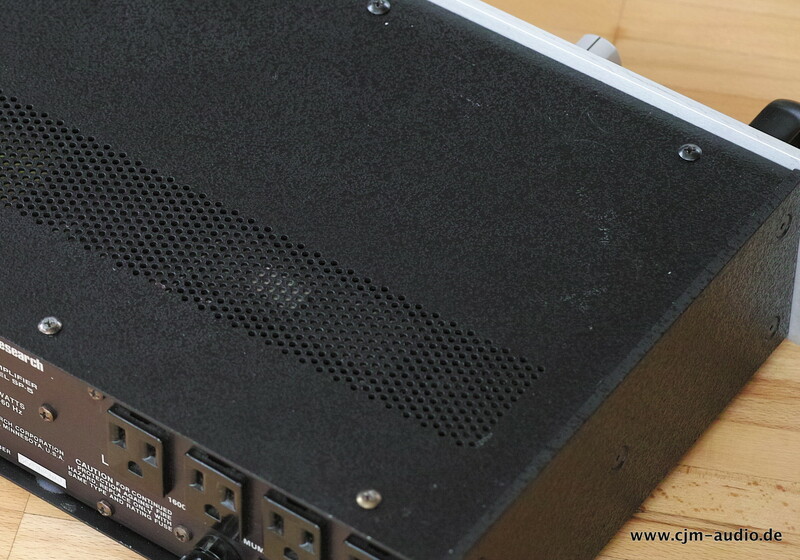 Rear chassis fittings extend ¾" (1.9 cm).